Fragrant sumac (Rhus aromatica var. aromatica) is common in eastern and central United States from Connecticut to Kansas south to Georgia and Texas. In is uncommon in the upper Midwest. It is native to Minnesota but has been recorded only in Goodhue and Winona Counties. It is sometimes used for stabilizing embankments. The low-growing cultivar Gro-Lo is sold as an ornamental shrub. 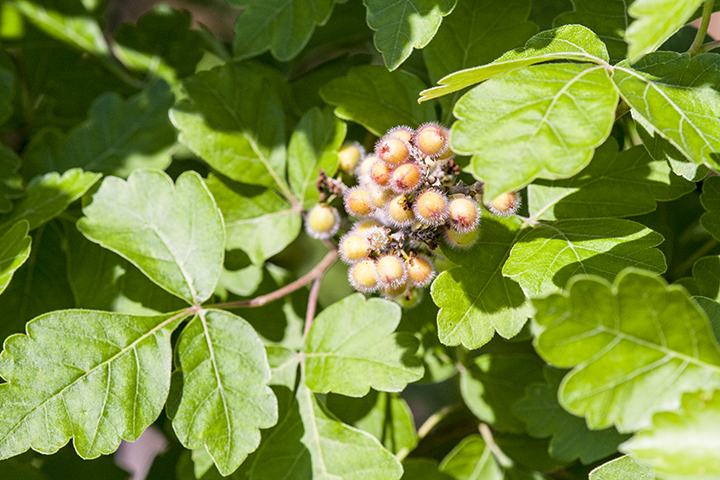 Fragrant sumac is found in prairie ravines, open hillsides, woodland edges and openings, and sand dunes. In April and May it produces small clusters or greenish-yellow flowers. In late summer these turn into clusters of hairy, bright red berry-like fruits. Stems and leaves, when crushed, have an odor which has been variously described as citrussy, pleasantly bittersweet, very unpleasant, and malodorous. Fragrant sumac is easily distinguished by its leaves with only 3 leaflets. Smooth sumac and staghorn sumac both have leaves with 11 to 31 leaflets. This entry was posted in Plants and tagged fragrant sumac, Rhus aromatica var. aromatica on February 27, 2016 by John Valo. 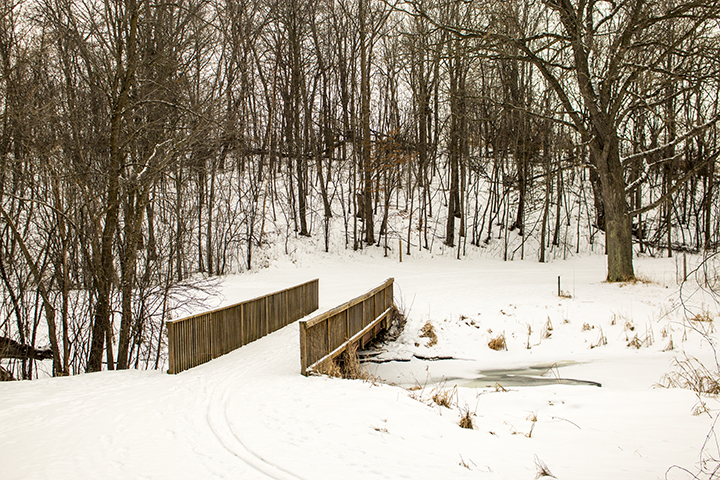 At 866 acres, Robert Ney Memorial Park Reserve is the second largest park in the Wright County park system. It consists of two units separated by Endicott Avenue NW. A recent land acquisition has connected the two units. The larger West Unit consists of hilly oak woodland, one mile of wooded shoreline around Mary Lake, a small unnamed lake surrounded by marsh, and a second small marsh. The East Unit is a more work in progress. It includes a prairie restoration on a hill, a wetland, and a hardwood seeding. The seeding is mostly red oak and rock elm. In August of 1970 Albert Ney arranged to have land deeded to Wright County upon his death along with a trust fund. That land became Robert Ney Memorial Park. A small chapel was erected in 1973 to honor Albert’s son Robert, who died in World War II. The Environmental Education Center, now called Ney Nature Center, was constructed in 1996. By 2011, the park had expanded to 866 acres. Robert Ney Memorial Park Reserve is adjacent to the 245-acre Maple Lake Wildlife Management Area. There are more than 10 miles of natural surface hiking trails, not all of which are mapped as of this writing (January 2016). This entry was posted in Nature Destinations and tagged Robert Ney Memorial Park Reserve on February 18, 2016 by John Valo. Toothed somberwing (Euclidia cuspidea) is common and widespread across North America from the east coast to the Rocky Mountains. 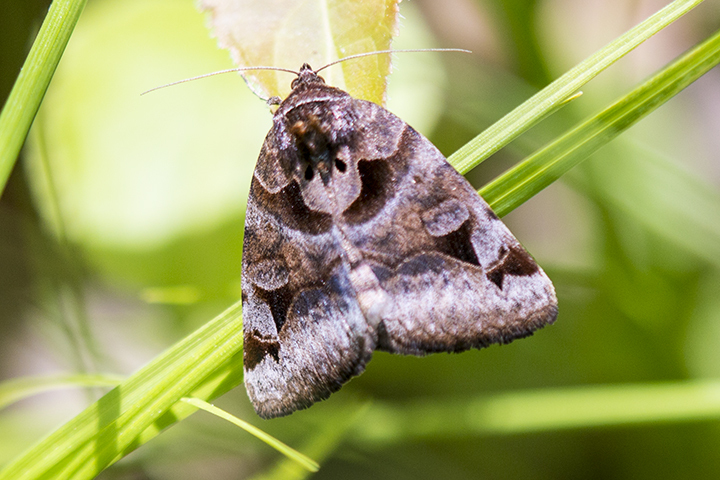 In Minnesota, it is found from mid-May to early July in meadows and in woodland edges and openings with long grass. It is active both day and night. When flushed from vegetation it flies rapidly for about 20 yards then drops to the ground. It rests with the wings held flat and the hindwings usually concealed. It is attracted to light. This is a stout, medium-sized moth. The adult is about ⅞″ long and has a wingspan of 1⅛″ to 17 ⁄16″. It is distinguished from similar moths by dark brown triangular spots on the forewing of the adult, and by the presence of reduced leg-like structures on the fourth abdominal segment of the caterpillar. This entry was posted in Insects and tagged Euclidia cuspidea, toothed somberwing on February 13, 2016 by John Valo. Lance-leaf fog-fruit (Phyla lanceolata) is common in its core range from Ohio to Kansas, much less common in Minnesota. It is found in wet to moist areas along streambanks, margins of ponds and lakes, marshes, and roadside ditches. 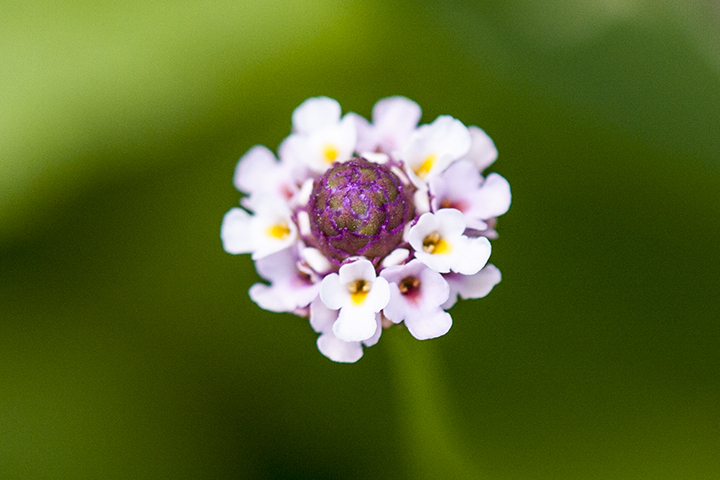 From June to September it produces numerous small heads of many tiny flowers surrounding a purple cone. The common name “fog-fruit” comes from an old Scottish word for moss, fog. It refers to the matted, moss-like habit of the plant. Another common name “frog-fruit” originated in what appears to be a typographical error in the 1834 book Botanical Teacher for North America. The error has persisted and is now the most commonly used name for this plant. The flower heads of lance-leaf fog-fruit are distinctive. There are no similar species in Minnesota. This entry was posted in Plants and tagged lance-leaf fog-fruit, Phyla lanceolata on February 11, 2016 by John Valo. The Jack Pine – (Yarrow) Woodland native plant community (NPC) has been assigned the critically imperiled conservation status rank by the Minnesota DNR. A large block of this NPC was identified in southeast Hubbard County. Between 2006 and 2013 about half of the block was timber harvested. The DNR moved to protect what remained of the NPC on November 3, 2014, by designated the site as Badoura Jack Pine Woodland Scientific and Natural Area. Today, the logged area is being allowed to regenerate to jack pine forest from the seed bank in the ground and from residual jack pines along the edges. 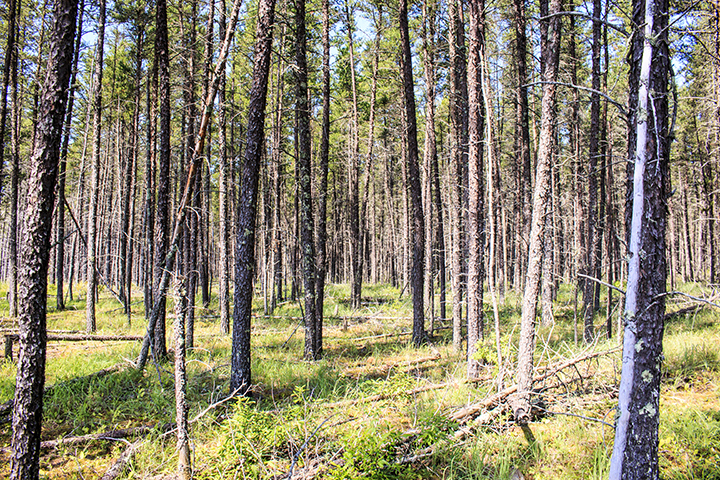 A July, 2015 survey of 13 plots in the harvested area found 1,153 jack pine seedlings per acre. Hill’s thistle, a special concern species in Minnesota, is found here, as well as bluebead lily, goldthread, ladies’ tresses, large cranberry, lowbush blueberry, oval-leaf milkweed, pipsissewa, and wintergreen. This entry was posted in Nature Destinations and tagged Badoura Jack Pine Woodland SNA on February 8, 2016 by John Valo. 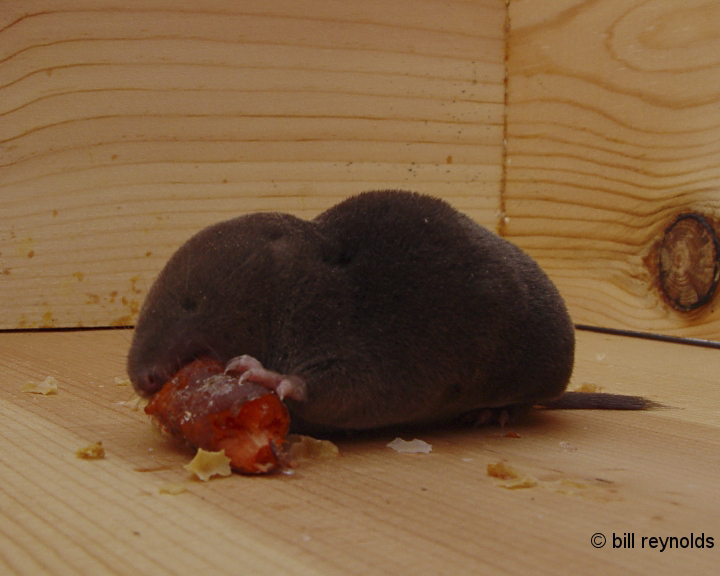 This entry was posted in Mammals and tagged Blarina brevicauda, northern short-tailed shrew on February 2, 2016 by John Valo.